Apache Tomcat is a web server and servlet container that is used to serve Java applications. Tomcat is an open source implementation of the Java Servlet and JavaServer Pages technologies, released by the Apache Software Foundation. This tutorial covers the basic installation and some configuration of the latest release of Tomcat 9 on your Debian 9 server. Before you begin with this guide, you should have a non-root user with sudo privileges set up on your server. You can learn how to do this by completing our Debian 9 initial server setup guide. Tomcat requires Java to be installed on the server so that any Java web application code can be executed. We can satisfy that requirement by installing OpenJDK with apt. 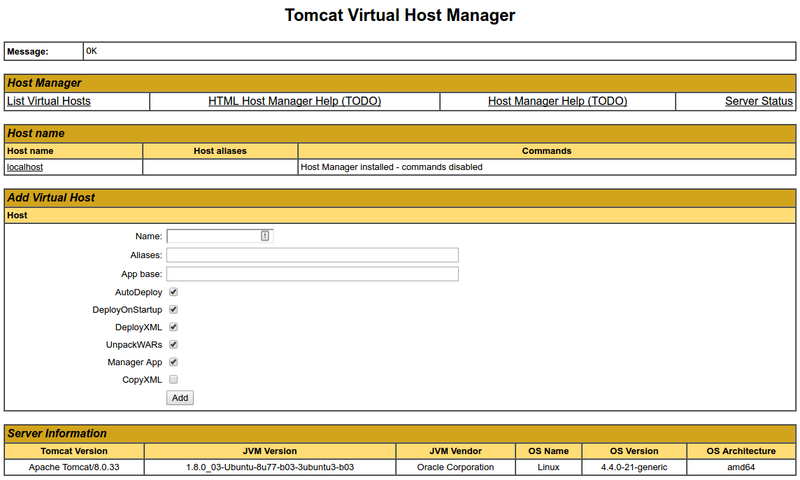 Now that Java is installed, we can create a tomcat user, which will be used to run the Tomcat service. For security purposes, Tomcat should be run as an unprivileged user (i.e. not root). We will create a new user and group that will run the Tomcat service. 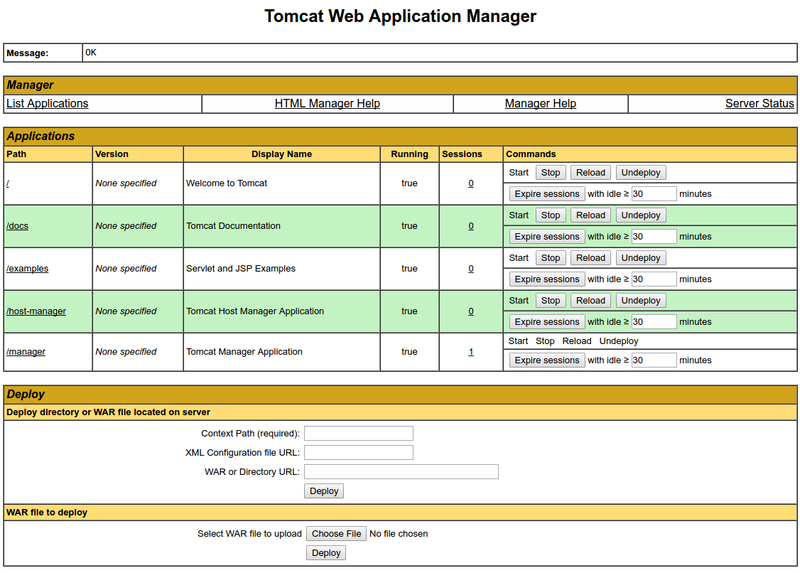 Now that our tomcat user is set up, let's download and install Tomcat. The best way to install Tomcat 9 is to download the latest binary release then configure it manually. Find the latest version of Tomcat 9 at the Tomcat 9 Downloads page. At the time of writing, the latest version is 9.0.11, but you should use a later stable version if it is available. Under the Binary Distributions section, then under the Core list, copy the link to the "tar.gz". Next, we can set up the proper user permissions for our installation. The tomcat user that we set up needs to have access to the Tomcat installation. We'll set that up now. Now that the proper permissions are set up, we can create a systemd service file to manage the Tomcat process. We want to be able to run Tomcat as a service, so we will set up systemd service file. Your JAVA_HOME may be different. Sep 05 20:47:44 tomcat systemd: Started Apache Tomcat Web Application Container. This confirms that Tomcat is up and running on your server. Now that the Tomcat service is started, we can test to make sure the default page is available. Before we do that, we need to adjust the firewall to allow our requests to get to the service. If you followed the prerequisites, you will have a ufw firewall enabled currently. You will see the default Tomcat splash page, in addition to other information. However, if you click the links for the Manager App, for instance, you will be denied access. We can configure that access next. By default, newer versions of Tomcat restrict access to the Manager and Host Manager apps to connections coming from the server itself. Since we are installing on a remote machine, you will probably want to remove or alter this restriction. To change the IP address restrictions on these, open the appropriate context.xml files. Save and close the files when you are finished. The Web Application Manager is used to manage your Java applications. You can Start, Stop, Reload, Deploy, and Undeploy here. You can also run some diagnostics on your apps (i.e. find memory leaks). Lastly, information about your server is available at the very bottom of this page. From the Virtual Host Manager page, you can add virtual hosts to serve your applications from. Your installation of Tomcat is complete! Your are now free to deploy your own Java web applications! Currently, your Tomcat installation is functional, but entirely unencrypted. This means that all data, including sensitive items like passwords, are sent in plain text that can be intercepted and read by other parties on the internet. In order to prevent this from happening, it is strongly recommended that you encrypt your connections with SSL. You can find out how to encrypt your connections to Tomcat by following this guide (note: this guide covers Tomcat 8 encryption on Ubuntu 16.04).